We had such a nice Valentine’s Day evening bonding with some new friends. It truly reminded me to be thankful for the relationships in my life, whether new or old, close or casual. After a crisis this morning regarding our house (when will it end? ), I can get back to what I was going to share today…. BIG NEWS. I tend to keep quiet about things going on with my family and friends, but this is too good to keep to myself. My baby sis just got official word that she will be studying abroad in San Sebastian, Spain for the fall semester of the coming school year. I’m filled with pride; she worked so hard to make it happen. And I’m over the moon excited for her to experience life abroad. I think she’ll find it wildly fascinating. This is going to be a big trip – stay tuned! And Kim – I’m so proud of you. P.S. My most recent trip to Spain. 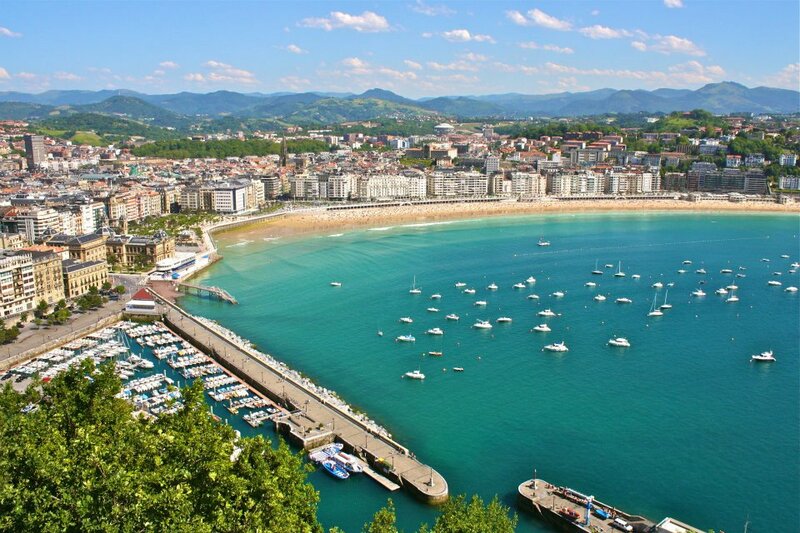 This entry was posted in Travel and tagged Basque, Europe, San Sebastian, Spain, Travel, Travel planning by Julie. Bookmark the permalink.